Location – University College Cork. 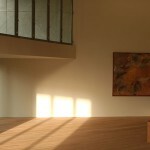 Client – Buildings & Estates Department, University College Cork. Role/Service – Civil & Structural, Construction Management Planning. 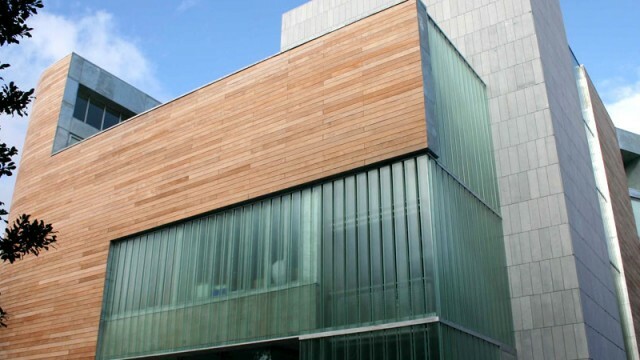 This art gallery and restaurant project for University College Cork was designed by the acclaimed Irish Architects O’Donnell + Tuomey. 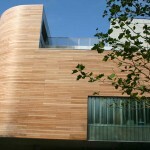 The building provides a cultural, artistic and meeting space on the Campus adjacent to the main gates forming cultural and social links between the City and University. 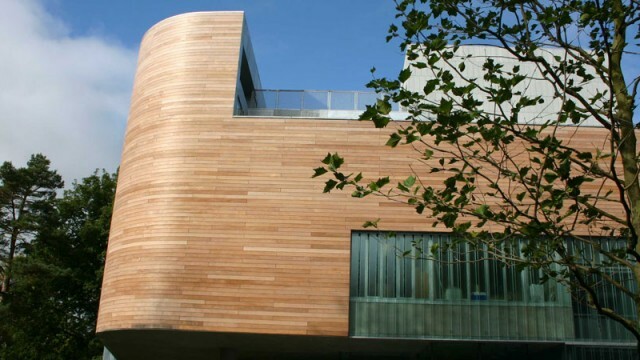 The building provides display spaces, lecture facilities, a riverside gallery and gallery shop. The building springs from a podium level which connects with the main avenue into the campus. The riverside café is located below this level and the gallery spaces above it. The floor above podium level consists of an overhanging floor plate which is supported on the minimum of circular columns springing from below. 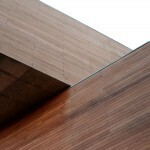 This floor plate cantilevers up to twelve metres beyond its supports and acts as the support for the upper levels. 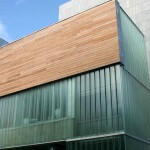 Horganlynch acted as civil and structural engineers for the project. This dramatic architectural design posed significant engineering challenges for the Horganlynch team, all of which were met. The structure consists of conventional reinforced concrete construction from basement to podium level which is one floor above basement level. The design required minimum obstruction of structure at this level which has been achieved with minimum core and column support. The structure above this level consists of cantilever beams which in turn support the steel frame galleries above. Due to the non-orthogonal nature of the footprint of the building, the core structure, which extends to roof level, acts as the restraint for the cantilever system of the entablature level where cantilevers of up to ten metres span are accommodated. The entire structure was modelled and analysed using finite element software. 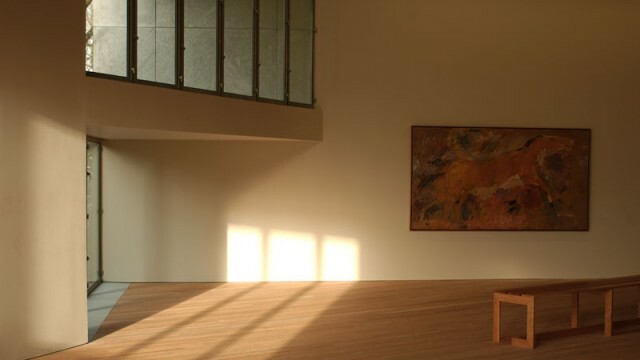 The gallery is the product of a spectacular architectural vision which was realised partly due to the strength and ingenuity of the structural engineering input. It is, we believe, an excellent example of collaboration between Architect and Engineer to deliver a building which has not been compromised either by limitations of technology, materials or vision. The engineering does not seek to dominate, and as a result dilute, the architectural aesthetic and thus stands out as an excellent example of achievement in structural engineering. 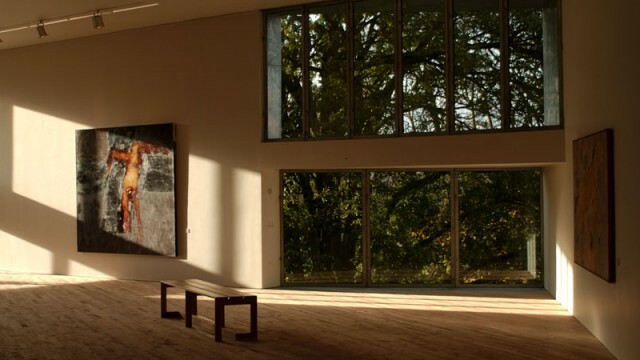 The collaboration on the dramatic Glucksman Gallery project resulted in a project which fully realised the architects vision for the project without any significant deviation from the architects first sketched thoughts. Such a complex project as this could not be achieved without the closest of collaboration between engineer and architect. 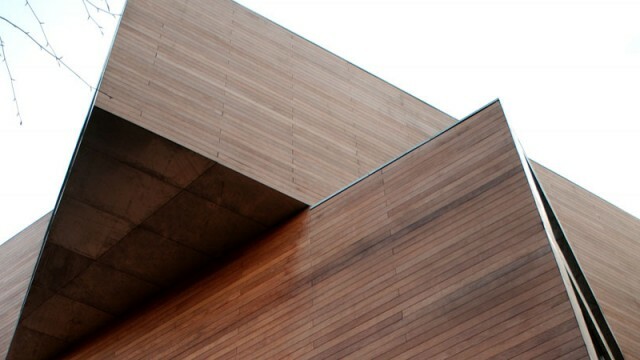 This building is an acclaimed design which has won many of the most prestigious design awards including being shortlisted for the RIBA Sterling Prize. 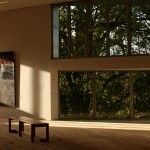 Horganlynch won the 2006 ACEI Design Excellence Award for our work on this structure.